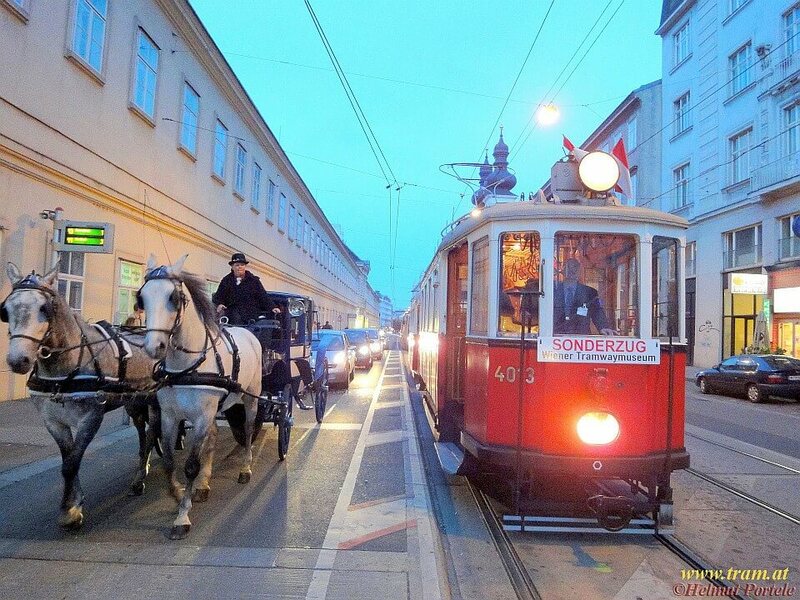 More then 50 Years of "Wiener Tramwaymuseum"
Take a ride in genuine originals of Vienna’s past! Rent our listed historic tramcars for a unique experience! All-inclusive packages available, including catering, branding, and tour guide! For up to 500 people. Turn the occasion into a one-of-a-kind experience! 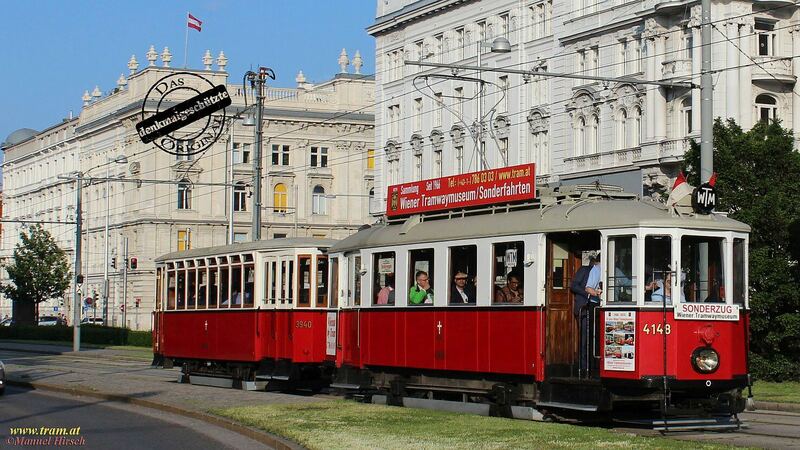 The entire Viennese tramway network is available for your customized tour! Photo stop included! Turn your transfer into a highlight! We will plan your transfer schedule for up to 500 people, precise to the minute! 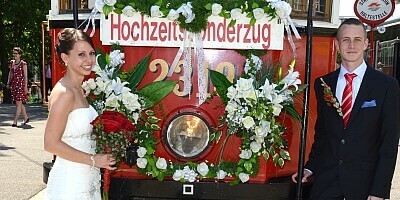 A civil wedding ceremony or simply a perfect ride to the perfect wedding location in a historic tramcar? Car decorations and flower arrangements for the wedding table?  It’s all possible! 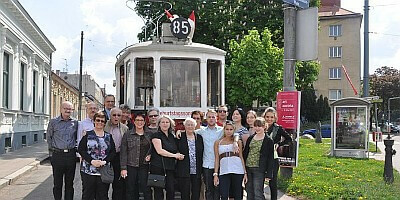 At the WTM, you can rent a listed, genuinely historic tramcar for your personal tour. 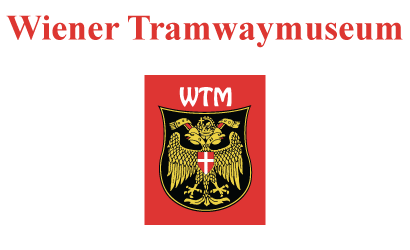 The entire track system of the Viennese tramway is available for your customized route! The collection „Wiener Tramwaymuseum“ is a registered association, owning most of the exhibits documented in great detail, such as the horse-drawn tramway and steam engine tramway, as well as modern articulated cars and Ultra-Low-Floor articulated test units – all located at the „Remise - Transport Museum of Wiener Linien“ (Vienna public transportation organization). 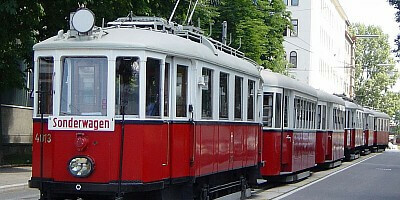 The WTM rents out its fleet of cars to provide you with the opportunity to experience a historic tramway ride. 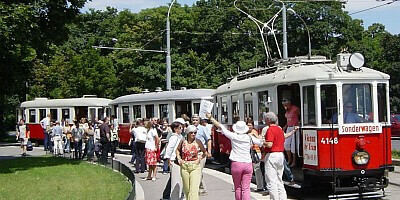 Based on these special tours, the private financial support by Helmut Portele, and countless hours of work by the volunteer-staff of the WTM, this historic tramcar fleet – the world’s largest of a single city - has been maintained and operated for 50 years, independent from outside subsidies. This is why every tramway tour at the WTM is not only a special experience for you as a passenger, but also a valuable contribution to preserving this unique and irreplaceable collection.